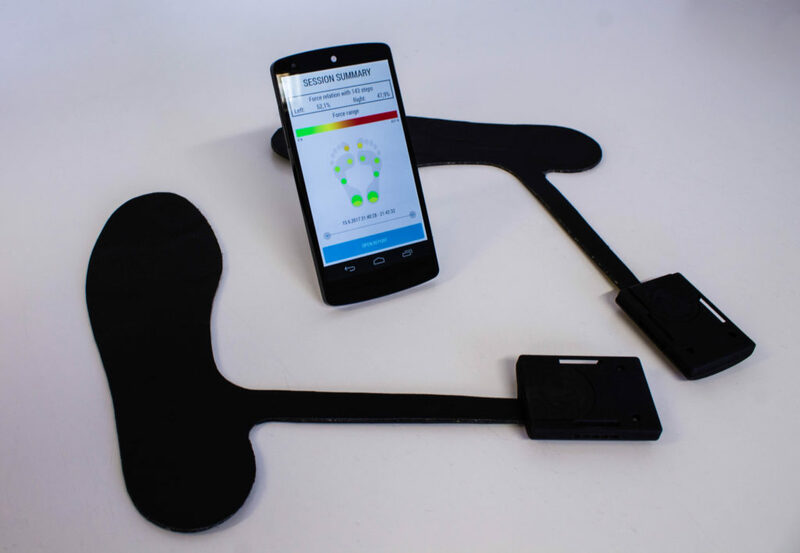 Movesole Ltd produces smart shoe insoles to measure force and pressure under the feet. Data is collected through smart phone informing the user on track control and feet position. The product is especially developed for the sports and consumer market. The company is now entering the medical domain with their 2nd generation product. Thereto, Movesole requested SMARTEES to assist in optimizing product design and at the same time include novel sensors to the product. The challenge in building a smart insole as a medical device is quite big. The smart insole must be robust and reliable in a tough environment including mechanical stress, moisture, sweat, indoor and outdoor usage, and extreme temperature changes all integrated in a 2 dimensional product. Hybrid printed electronics is potentially suitable to meet this challenges. In the project SMARTEES will utilize SOTA printing techniques completed with the latest sensor development to make the 2nd generation InSOLE, including robustness and quality at a right price point. Small Data Garden, SDG, is a young Finnish company that powers the IoT with the simplest communication solutions. Company is based in Riihimäki, Finland, in the heart of the Finnish Growth Corridor. SDG’s core business revolves around commercializing IOTSU, the scalable platform solution for the global IoT industry. Over the course of the Application Experiment we will combine our accumulated IoT expertise with SmartEEs’ expertise in flexible electronics. This cooperation is expected to result in IoT Flexi Node, which is a flexible and stretchable wireless sensor platform that is optimized for IoT specified networks. To visualize the benefits of the technology we aim to create two Product Demonstrators: Eco-friendly plaster like thermometer and IoT tape for letters to track when/where they are opened. “We see tremendous potential in scaling our platform technology to cover applications where the dimensions of boxed IoT devices cause restrictions and have significant drawbacks in the range. We are very much looking forward to commencing the co-operation with the SmartEEs team”, states Timo Liukko, Chairman of SDG. “Our expertise in IoT platforms and IoT optimized networks can be combined with flexible electronics to produce flexible wireless sensor platforms that are optimized for long-range low-energy solutions”, says Petri Hänninen CTO of SDG. Interested in SmartEEs Call for Application Experiments? Want to learn more about how to prepare for the Call? If so, join representatives from SmartEEs project as they offer tips for preparing your application experiment proposals. Presenters will talk about SmartEEs flexible electronics technologies giving you ideas on how to adopt these technologies into advanced products and services. This webinar is tailored for SMEs, and Mid-caps who want to learn more about the SmartEEs technologies and application process, and who want to increase their chance of winning the Call. The Webinar will take place on 12 June 2018, at 13.00 p.m. CEST. If you wish to learn more about the topics discussed, listen to the webinar recording or download the presentation.